Looking for a purposeful and fun way to use playdough in the classroom? I've found there are many positives for using dough in the classroom. One of my favorite ways to incorporate playdough is during math centers with my no-prep math mats. My students, no matter the time of year, love utilizing dough for counting and representing addition or subtraction problems. But now, with the no-prep mats, my students can get their hands on using more dough than ever before because of the updated data options. Spinning the provided spinner, students will read the selected number aloud, and represent the number in tally-mark format using playdough. 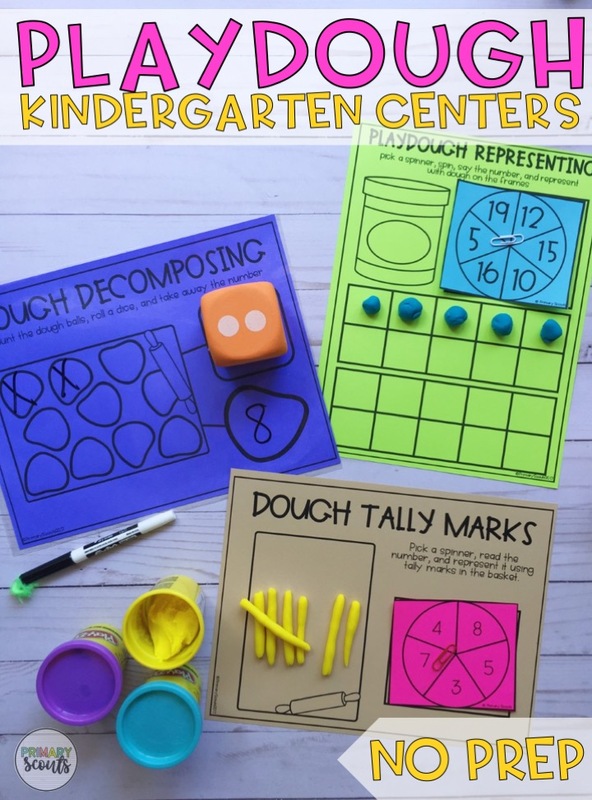 Working with dough, students are able to get hands-on with numbers. You can grab these mats in my Teachers Pay Teachers store. They're broken down by season - with each season having roughly 40 different mats to allow for differentiation with varied kindergarten math skills.